# #It 's easy as one... two... three! 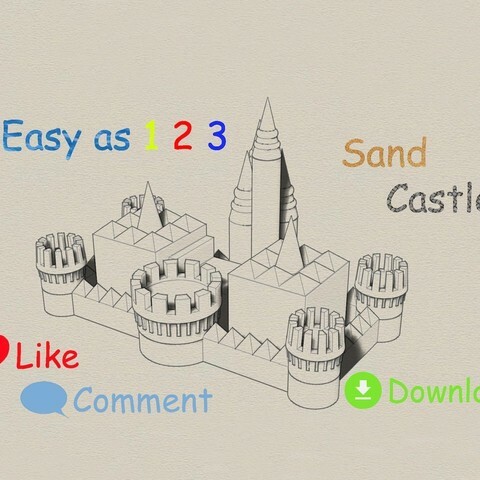 The Easy as 1 2 3 Sand Castle and Mold is a castle and mold that were designed to be as EASY to use as possible. 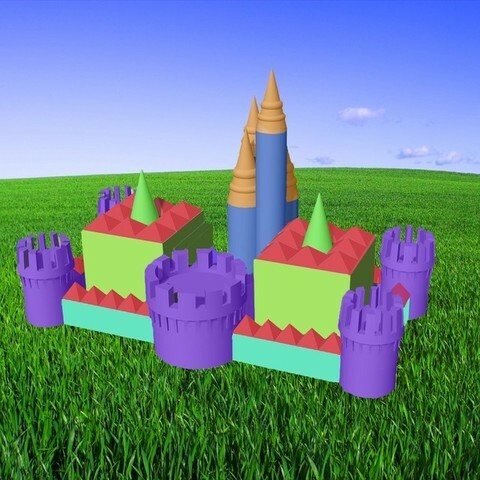 Unlike other mold designs you don't have to print a bunch of pieces to make one castle, this mold is one piece. Just one print and you're ready to have fun.  (1) First, you download the mold, which is print ready. (2) Second, you print the mold, which is already scaled. (3) And third, you fill it with sand and place it down. 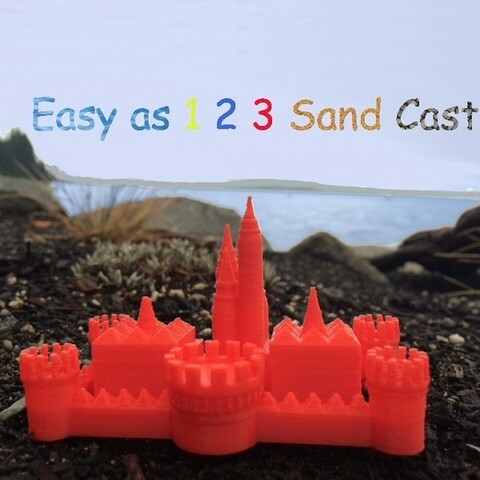 If you don't feel like getting sand in your shorts or don't have a beach nearby you can print the castle by itself. (1) Download (2) Print (3) Play! 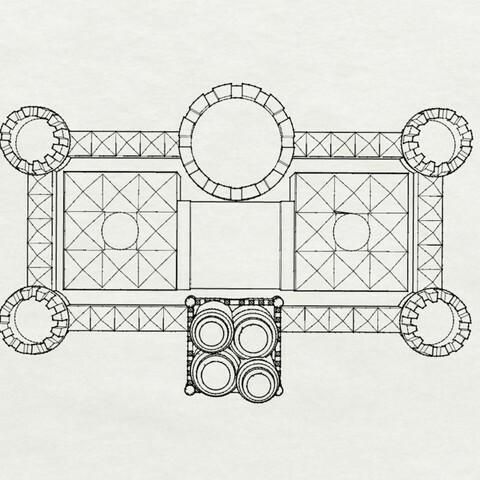 To get a more in-depth explanation of my castle keep reading, otherwise you are ready to start printing and playing. This is my entry for the #BuildACastle challenge. If you like it please support it with a like, collect, and comment! 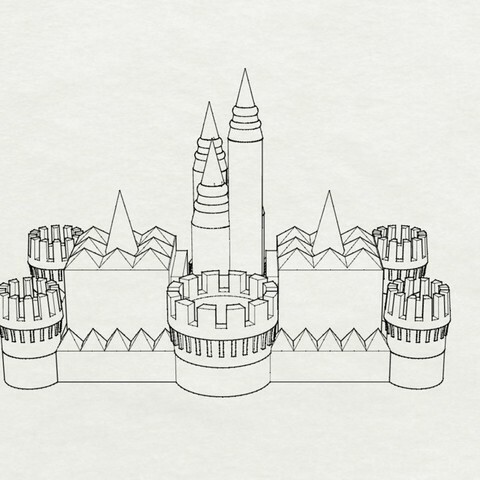 While you read this you may wonder how my castle relates to math. As you probably know by now the number three appears a lot in this description and the reason for that is because the number three is used in so many different mathematical ways. • In architecture every structural element is composed of a triangle, and a triangle has three corners and three sides. The reason why architects use triangles is because they are strong due to the fact that they distribute the weight effectively. • Another way how the number three relates to mathematics is because it is the simplest shape. And simple is another way of saying EASY. An example of why it is the simplest shape is because a triangle has the least amount of sides that a shape, closed polygon, can have. • And finally the THIRD and final way my castle is related to the number three and mathematics is because it's an .stl file. You may not know this but every surface in an .stl file is a triangle. This is so the program can read it easily, because a triangle is simple and EASY to comprehend. 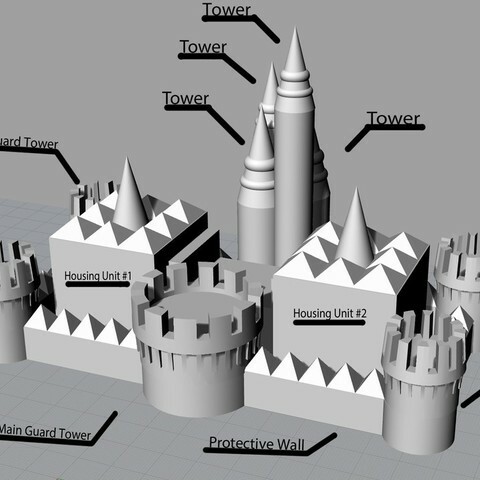 The castle can be printed with these settings: I use 3 perimeters and an infill of at least 15%. The mold can be printed with these settings: I use 3 perimeters and an infill of at least 20% with a honeycomb pattern. For the mold you don't have to worry about it breaking because it isn't thin. Unlike other designs it won't get jammed with pieces snapping together or rotating. And finally it doesn't matter if your printer is low quality because you won't be able to tell the quality once the sand is molded.